Terrible. if you like Priveer Tales please stop at 15. This book ruins all you thought about several characters. It also wrecks future stories. This book is completely awful. The humor is childish and largely based upon sexist and homophobic humor. There is no real story underlying this trash. What would have made The Golden Horde better? What could Chris Kennedy have done to make this a more enjoyable book for you? Finish the story.The first 50 percent of this book is about simulations of battle. Then, finally the book starts to work on the conspiracy theme from the previous books. However, the book does not close the arc -- it just leaves it hanging. None of the future 5 books released so far close the cliffhanger. 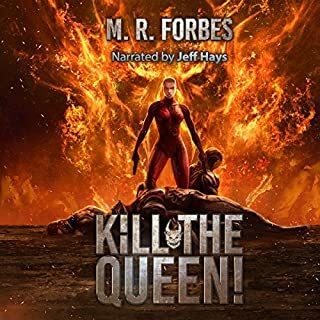 The narrator lacks emotion and all characters sound the same. He reads sentences in a fashion that totally blow the meaning of the sentence. Very disappointed and angry that the authors were too lazy to finish what they started. Very angry at the bald attempt to string readers along. Do yourself a favor and do not start this series -- it goes nowhere. Five additional books in this universe have been released after this travesty and yet the main story arc is never closed. Horrible! Good but not as strong as the first two. This moves the story but lacks what made tge first two books, esoecially the first book, stand out. There was nome of the take no prisoners rebel cur interaction. Would like to see more like the first in series. Very solid episode. Really advances the story. There was a lot of adventure and surprises in this episode. one of my favorites in this series. The devil you know or the one you don't? For the Demon Queen and her Rejects, things are guaranteed to get ugly whichever they choose. a good story. this installment advances the story line but ends in cliffhangers to all of the sub plots. 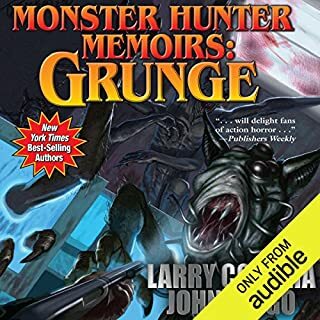 Where does Monster Hunter Memoirs: Grunge rank among all the audiobooks you’ve listened to so far? The novel is a fantastic member of the Monster Hunter Series. This novel is very faced paced and enjoyable. I expected big things from a collaboration between two of my favorite authors and this book did not disappoint. The narrator is excellent also. This book was fast paced and enjoyable. the main character is well developed. I hope to see further development of the other characters in future books. The narrator is excellent. 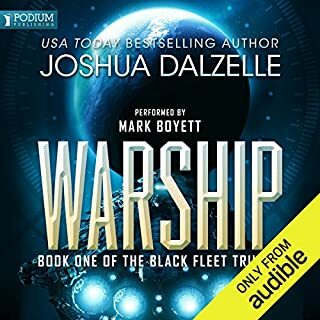 What did you love best about The Lost Fleet: Dauntless? 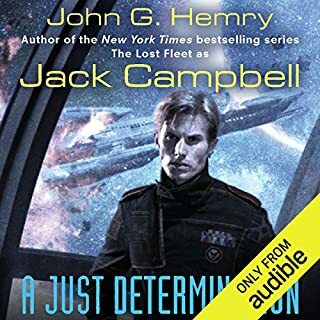 Jack Campbell provides the best science fiction series I have heard since -- well -- ever. The writing is crisp and the story is edge of the seat, action packed adventure. The premise is super intriguing and the series has great characters. 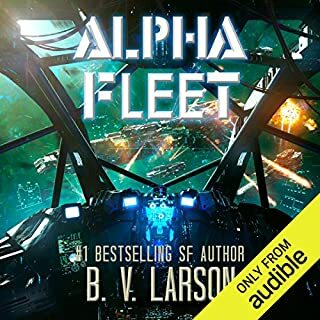 I love sci fi -- but no mattter how many series I read I keep returning to the Lost Fleet to enjoy the genre done in exactly the way it should be done. 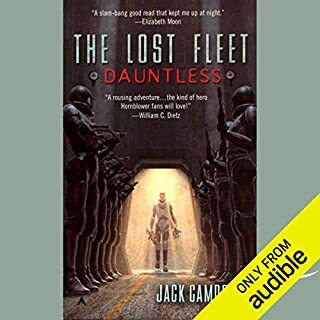 What was one of the most memorable moments of The Lost Fleet: Dauntless? When John Geary first takes command of the fleet -- waking to realize that he has become a legend while he was in suspended animation. Yes. 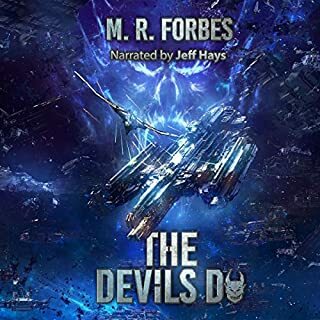 Both author and narrator are consistently excellent. However, there is something special about Dauntless -- I enjoy it the most. 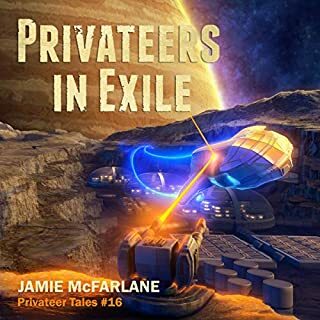 Christian Rummel is an extremely powerful and engaging narrator. He creates clear, powerful, and distinct voices for his characters. 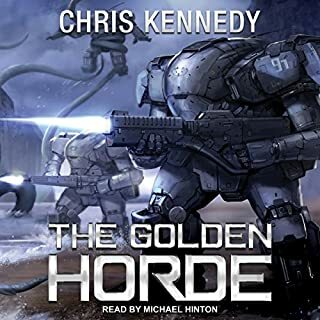 Audible has many fine narrators but they do not come any better than Christian.